What Are Isagenix Essential Oils? Isagenix Essential Oils rely on the benefits of modern scientific research to enhance your daily life. 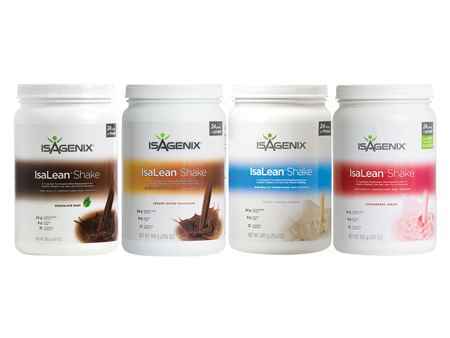 The products are designed to perfectly complement any Isagenix system using the highestquality all-natural ingredients. To apply an essential oil topically, add 1 or 2 drops of oil to 10-12 drops of coconut application oil. (Mixing the two oils will help prevent skin irritation.) After mixing, apply the mixture to your skin. To use essential oils internally, add 1 drop of oil to any 4-ounce liquid and drink the mixture. To use essential oils aromatically, add 8 to 10 drops of oil to your aromatic cool mist diffuser, or apply the oil to your hands and breathe it in. Lavender is a versatile essential oil with a light, floral aroma that is calming and relaxing. Use it topically, internally, or aromatically in stressful situations or right before bed to fill you with a sense of tranquility. Topically, Lavender is great for skin and muscles, decreases skin irritation, and eases soreness and cramping. Internally, it promotes relaxation and provides to a tranquil night’s sleep. Aromatically, it fills the air with a light, floral scent that relaxes, soothes, and calms. Lemon is a zesty and uplifting way to energise and invigorate you. Lemon is great topically, internally, or aromatically in the morning to give a burst of energy and motivation and cleanse the body, particularly the digestive system. Topically, Lemon’s ingredients will cleanse your body. Internally, it will support breathing, relieve the symptoms of seasonal allergies and colds, and support digestion. Aromatically, it improves your mood and helps banish negative emotions. Eucalyptus treats many symptoms topically or aromatically, such as colds and headaches. It will also awaken your senses with its crisp, fresh aroma, improving your sense of health and wellbeing. Topically, Eucalyptus relieves the symptoms of respiratory ailments and supports overall health and wellness. Aromatically, it relieves tension and headaches and clears nasal passages. Frankincense was used by the ancients topically, internally, and aromatically for relaxation and beautifying. It is deeply aromatic, so breathing in this scent will give you a sense of wellbeing. Topically, Frankincense rejuvenates and beautifies the skin and decreases the appearance of imperfections. Internally, it supports cellular performance and support digestion. Aromatically, it relaxes you and gives you a sense of wellbeing. Tea Tree is the perfect cleansing supplement topically, internally, or aromatically. It can purify the air and your skin and hair. It can also cleanse your body of pollutants. Topically, Tea Tree cleanses your skin and improves the overall health and appearance of your skin and hair. 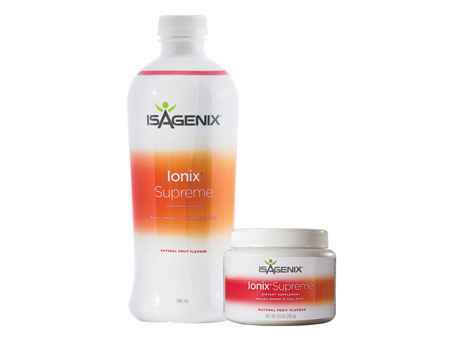 Internally, it supports your immune system and decreases the symptoms of colds. Aromatically, it provides a floral scent and cleanses the air of pollutants. Peppermint is the perfect way to invigorate your body and mind topically, internally, or aromatically. It also cools the skin to invigorate and soothe muscles. Topically, Peppermint soothes and relaxes muscles and joints. Internally, it clears breathing, calms the stomach, and promotes digestive health. Aromatically, it improves breathing and invigorates your body and mind. DefenseShield combines lemon, frankincense, eucalyptus, rosemary, clove, and cinnamon bark. It energises your body and purify your environment topically, internally, or aromatically. Topically, it promotes healthy circulation and protects your body against free-radicals. Internally, DefenseShield improves your respiratory and immune systems. Aromatically, it energises you and improves your mood. Fresh is a mixture of eucalyptus, lemon, lemongrass, peppermint, tea tree, grapefruit, rosemary, and thyme. It revitalises and stimulates you topically or aromatically. Topically, apply Fresh topically to your chest to clear your nasal passages and protect against pollutants. Aromatically, it is the perfect way to drift off into a relaxing night of sleep. Improve your sense of wellbeing topically with this satisying blend of copaiba, orange, grapefruit, bergamot, eucalyptus, juniper mandarin, lemongrass, citronella, and cinnamon bark. Content improves your mood, promotes a positive emotional state, controls cravings, and improves your metabolism. The blend is a mix of dill, spearmint, peppermint, lemon, carrot seed, cardamom, lemongrass, and ginger. It calms and soothes you topically or aromatically. Topically, it relieves negative emotions. Aromatically, it fills the air with a refreshing minty aroma that soothes and invigorates. Have You Tried the New Range of Isagenix Essential Oils Yet? Many ancient cultures believed that plants were magical: they would be used as food, as medicine, and for rituals to harness their mystical powers. While most people no longer consider plants to be magical, science still touts their benefits for health and wellbeing. One of the most effective ways to harness the power of different plants in your own home is through essential oils. Essential oils are concentrated extracts from plants. The oil contains the plant’s flavor, scent, and nutrients in a highly concentrated form. This allows you to gain all of the plant’s benefits with only a small amount of oil. For example, a lemon essential oil can be used for energy and peppermint is great for soothing muscles. Whatever the ailment, there is an oil to help! To use an essential oil topically, mix it with some coconut oil and apply it directly to you skin. To use it internally, mix a small amount with any liquid and drink it. To use it aromatically, place a few drops in a diffuser or apply it to your hands and inhale. What Essential Oils Does Isagenix Have? 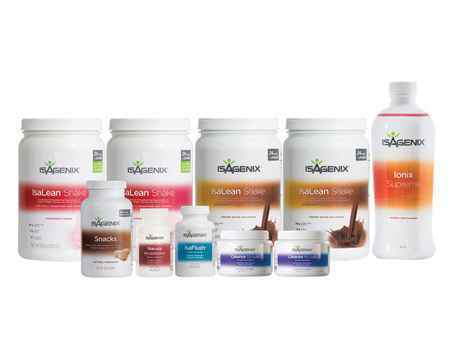 Isagenix has a wide range of options! If you’re new to essential oils, you can even get convenient collections containing multiple essential oils so you can experiment and find out which ones work for you. Each oil is formulated to perfectly complement any Isagenix system. The Peppermint essential oil is the perfect way to soothe your aching muscles, especially after a long workout! It can also clear your breathing and soothe your stomach. The minty scent is also a great way to improve mental clarity. Tea Tree oil is a wonderful beautifying option: it has many nutrients that are great for your skin and hair. It’s also great to have around when you’re feeling under the weather: this powerful oil boosts your immune system and helps rid the air of pollutants. This is another beautifying oil that does wonders for the skin and hair. Frankincense oil also supports your cells, invigorates your mind, and supports your digestive system. Eucalyptus is a great supplement when you have a cold: it can actually help reduce the symptoms of respiratory ailments. It can also help relieve tension and headaches. You’re probably familiar with the fresh, invigorating scent of lemon, but did you know the other things Lemon oil can do for you? This oil cleanses your body of impurities, supports breathing, and boosts your mood. Lavender is a versatile oil that is great for your skin and muscles. It decreases irritation and cramping, and can also promote relaxation. 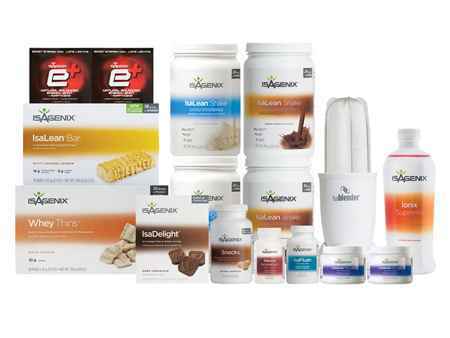 TumBliss is one of the Isagenix specialty blends. It is made up of dill, spearmint, peppermint, lemon, carrot seed, cardamom, lemongrass, and ginger: a combination creates to soothe and relax you. In the Content blend, you’ll get all the benefits of copaiba, orange, grapefruit, bergamot, eucalyptus, juniper mandarin, lemongrass, citronella, and cinnamon bark. These extracts promote a positive emotional state, boost your metabolism, and control food cravings, making it perfect for any Isagenix plan. Fresh, a blend of eucalyptus, lemon, lemongrass, peppermint, tea tree, grapefruit, rosemary, and thyme, is best applied topically to the chest to clear your nasal passages and protect your body from pollutants. It is also a great way to relax before bedtime. This spicy blend of lemon, frankincense, eucalyptus, rosemary, clove, and cinnamon bark is a powerful antioxidant. It can protect your body against free-radicals, improve your immune and respiratory systems, and boost your mood.